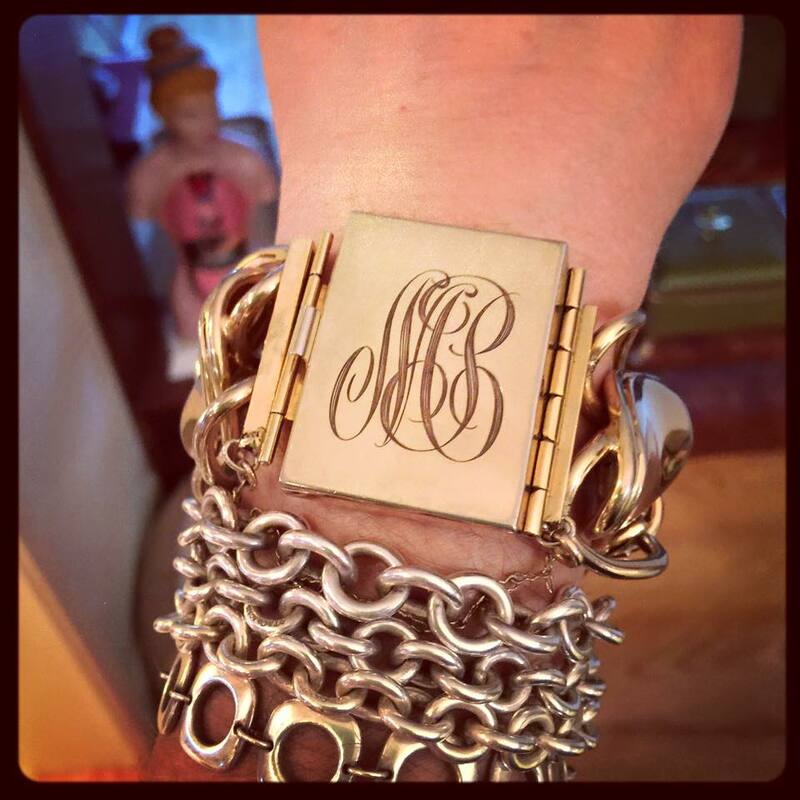 How about a chunky, vintage, Mid-Century, gold-tone, TO-DIE-FOR bracelet that he serendipitously found in an antique shop in Echo Park…that just so happened to have MY VERY OWN INITIALS engraved on it? I love it SO MUCH, Blinky Beat The Robot…and will treasure it FOREVER! THANK YOU! I LOVE YOU!